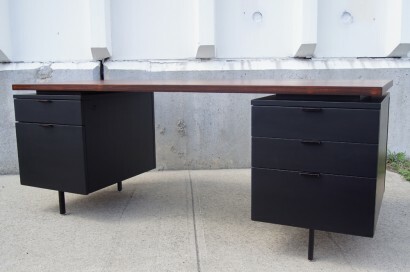 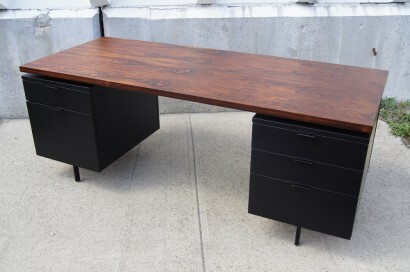 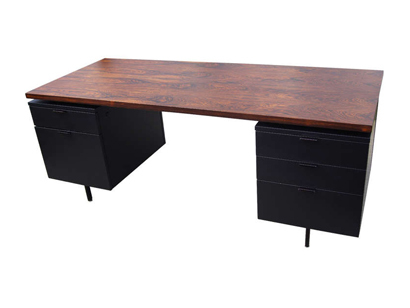 This impressive desk was designed by George Nelson for Herman Miller. 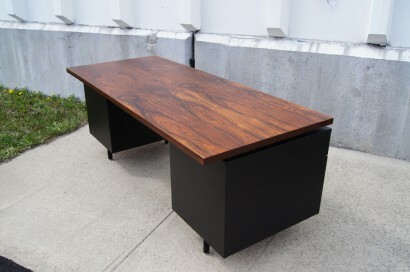 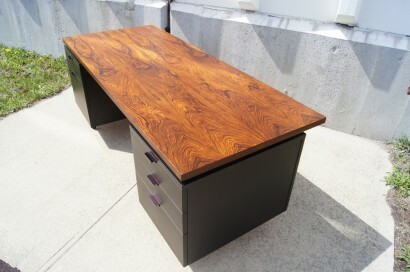 It is composed of a stunning rosewood top that is set against black painted drawer units and legs. 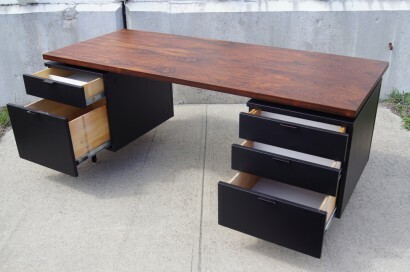 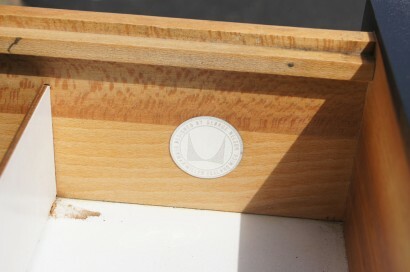 The left drawer unit features a shallow top drawer with numerous compartments above a deep filing drawer. 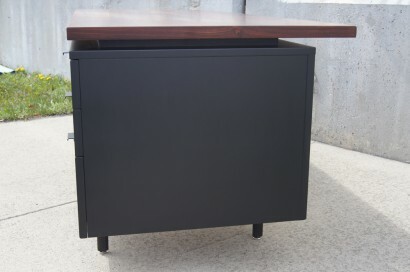 The right drawer unit feature two shallow drawers and one deep drawer.